There is no better way to enjoy the West End than with Dinner and a Show. Now you can get a complimentary dinner at the fabulous Jamie's Italian in Piccadilly with your tickets to Company! Rosalie Craig and Patti Lupone star in the fresh reimagination of Stephen Sondheim and George Furth’s musical about life, love and marriage. 26 September - 30 March 2019. This production is recommended for ages 15 and up. The production contains strobe lighting, scenes of a sexual nature, swearing, smoking, and drugs. Please note real cigarettes are smoked during this production. Please note that the appearance of any artist cannot be guaranteed. All persons aged under 16 must be accompanied and sat next to the accompanying adult. They may not sit on their own within the auditorium. If children do have separate seats, entry could be refused. All patrons, regardless of age, must present a valid ticket to gain entry to the theatre. Please ensure that any children or infants for whom you are responsible also have a valid ticket. Your child should be able to sit unaided within the purchased seat. Children may not be seated in an adult's lap, nor are babes in arms permitted. Wonderful evening. Excellent meal at Jamie's (best Tiramisu in the world!) and high quality show. Loved it all. Fantastic offer, had 3 course set menu prior to the show at Jamie's Italian. Theatre was a 2 minute walk from the restaurant. Slightly limited set menu but great value, option to add glass of prosecco for £5. 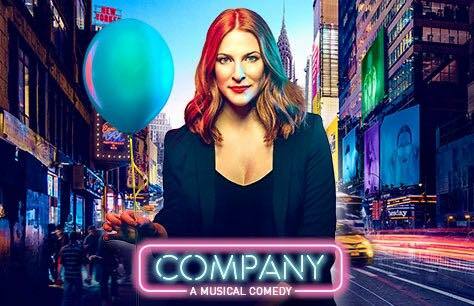 Company was a great show, very funny. Highly recommended.